Dental implants are now a standard of care in tooth replacement. 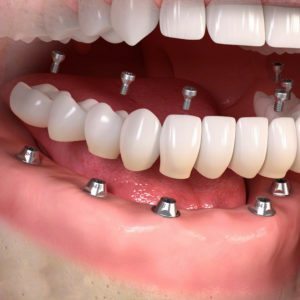 It is Pinehurst Dental Arts mission to use dental implants as a way to transform the aesthetics and function of her patient’s who feel handicapped by their missing teeth. Our dental implant patients feel confident and secure in their new smile. Implant supported bridges are a blend between single tooth implants and bridges. Implants are individual teeth surgically placed within the jaw. A bridge is comprised of crowns that are fused together and anchored in place – usually by surrounding abutment teeth. Implant supported dentures are preferred by many Middletown, NJ dental patients who are missing all of their teeth but want a more stable prosthetic replacement option than traditional dentures provide. 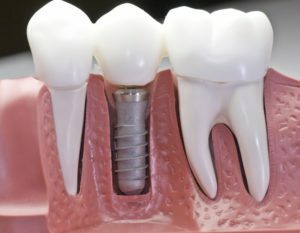 Unlike regular dentures, which rest on the gums unsupported, an implant supported denture is anchored in place by titanium rods surgically embedded into the jaw bone. 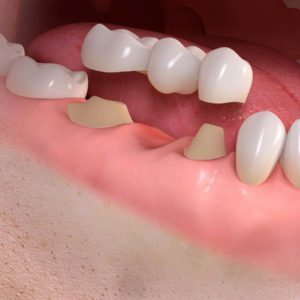 For decades, dentures have been the go-to solution for missing tooth replacement. These dental prosthetics are carefully crafted for a shape and appearance that is unique to each patient. 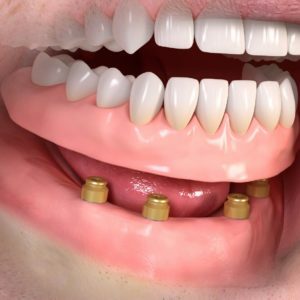 As technology has improved, dentures have been made to look more natural than ever – often undetectable to other people.